Daniel Warren Follow Daniel is a Java Developer at IDRsolutions. He enjoys experimenting with different computer systems, cycling, and a variety of PC games. The Business of Software (BoS) Europe 2019 is a self-explanatory conference which this year will be held in Cambridge. It will be my first time attending this conference, and I will be joined by two of my colleagues. I had no knowledge to the world of business prior to working for IDR Solutions, and I would like to take the opportunity to learn as much as possible from this year’s BoS Europe conference.. Starting off with a simple one, with the name of Business of Software I’m expecting this conference to be very relevant to running a business in the software industry. Each of the topics might not be only linked to software environments, but I expect there are different tricks and opportunities that are better applied for software-based businesses. This specialization is what helps BoS stand out, and after 17 previous conferences, I expect this will be well-developed. BoS has a reputation for finding great speakers to talk at their conferences, this year a variety of topics are going to be talked about from people who have experienced the inner workings of a business. With a variety at different positions such as Founders, CEOs, CTOs, and Directors, I will be able to learn from people who have built up to where they are now. BoS makes sure that throughout the conference there are plenty of opportunities you get to speak with your fellow attendees and speakers. The wide variety of people will undoubtedly provide unique answers to questions I have, and help me learn more about what others are doing in the industry. 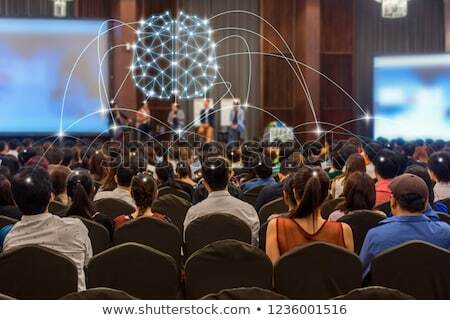 This year’s conference will be focused on how to achieve scaling in your business and with each of the talks adding in their own perspectives on the unique issues that can arise with it. I expect that by the end of the conference I will have a far better understanding of the issues which can arise, how to overcome these issues, and what circumstance dictates the best solution. With the swathe of knowledge that is available at conferences such as BoS, I expect that I will gain at least one new perspective on how to approach business. With both the talks and networking, my hope is that I will help see things in a different light in order to improve my abilities and work.